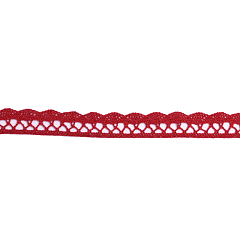 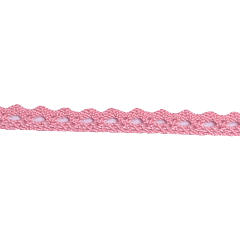 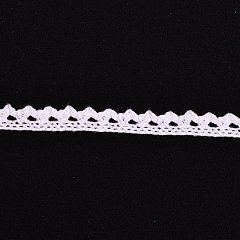 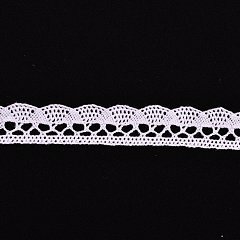 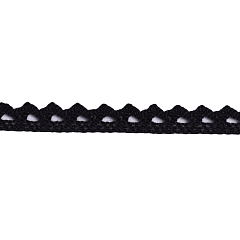 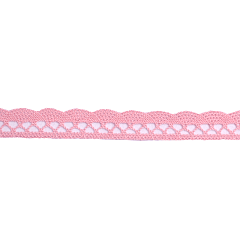 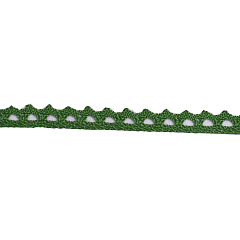 Lace of high-quality polyamide is elastic. 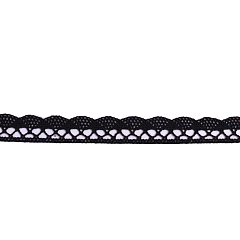 It is decorated with delicate floral pattern. 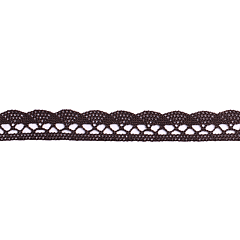 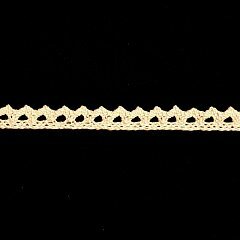 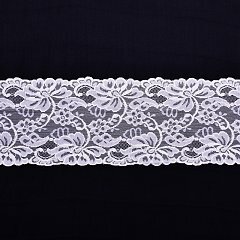 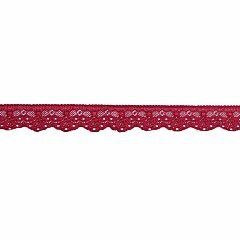 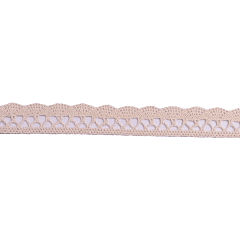 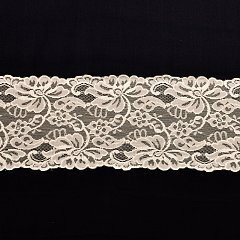 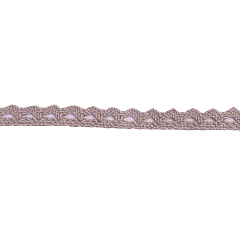 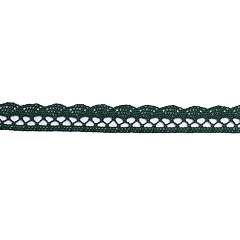 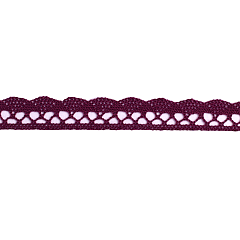 Application: Lace is most often used in lingerie, blouses, dresses and costumes. 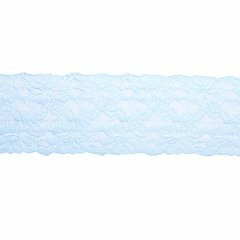 You can also use scrapbooking techniques for decorating photo albums or greeting cards.